Choosing a new roof can be difficult and complicated. You need to consider colour, style, finish and design. Roofing Solutions Hobart is your specialist provider of new roofing services for homes being built in and around Hobart and Southern Tasmania. 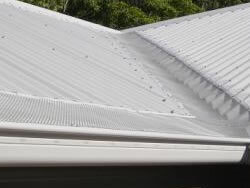 Our experience in the roofing Industry in Tasmania is your guarantee of qality workmanship, reliablity and a company you can trust at a price you can afford. 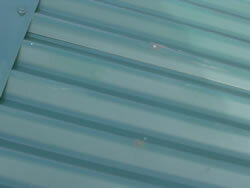 Roofing Solutions Hobart offers an extensive range of colorbond roofing products so that means that we sell, supply and install all in one simple step for you making that right choice for your home simple and easy. We understand that the choice to build a home is one of the most important decisions you will make, whether it is your very first home or whether you have built many times.. We take pride being able to help with this process and offer customised options and solutions which enable you to build the home of your dreams. We have an impeccable record for offering the finest in products and services, and fully guarantee our work. Call now on (03) 62736888 or click here to complete and online enquiry form and take advantage of some of the benefits that come with dealing with Roofing Solutions Hobart.